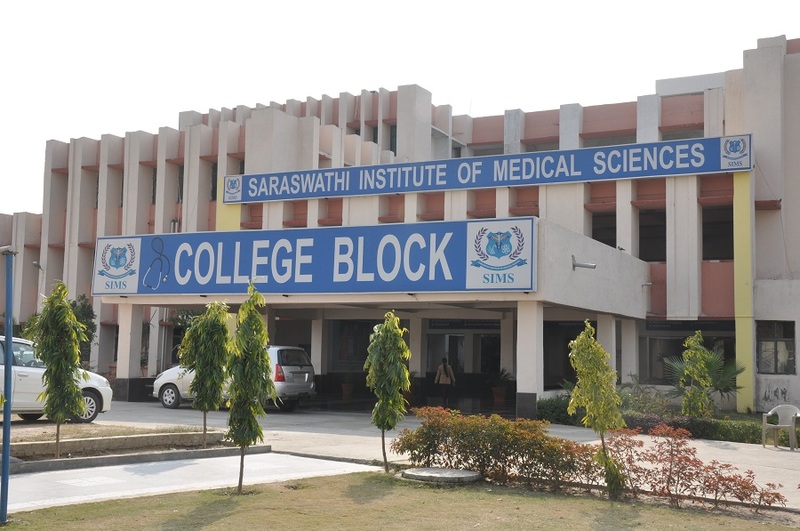 As a leading medical education & research institute,Saraswati Institute of Medical Sciences (SIMS) was set up in 2008 at Anwarpur of Gaziabad district in U.P. This institute is offering Bachelor of Medicine & Bachelor of Surgery (MBBS) program . This educational centre takes pride in having highly qualified & professionally experienced doctors, professors, scholars, nurses, technicians, administrative staff & security cell. It endeavors to impart world class medical knowledge to its students. SIMS works to instill in its students ethics for the betterment of society. This institute owns a modern hospital and research centre. The hospital contains numerous facilities like casualty department, O.P.D., critical care, operation theater, blood bank, C.S.S.D & many more . In the pharmacy of the hospital, all types of medicines are available. Besides having a paid pharmacy, the hospital also possesses a free pharmacy. It has a well stocked library in which lots of books by national & international authors, journals, periodicals, video as well as audio cassettes, news papers, photocopiers & computer fecilities along with printers are available for students’ benefits. SIMs also provides adequate accomodation for its faculty members & nursing staff. The residential areas are situated on a pollution free area in the campus. Besides these, security fecilities for 24 hours, water & electricity supply are also available here. As far as hostel fecilities are concerned, SIMS has separate hostels for boys & girls . Students are offered advantages like internet fecility, state of the art gymnasium & indoor game facilities in each hostel. Sports facilities are also provided here. Students & faculty members who come from places like Delhi, Noida & Hapur, transport facilities are provided for the convenience of them. Moreover, Bank of Maharashtra with its CBS, ATM & SDV locker facilities is there in the campus. SIMS is reknowned for its MBBS course.